What Ozhotels is able to bring to the table is a range of totally indenpendent serviced apartments, hotels and resorts that provide holiday accommodation in Main Beach, which is on the bezutiful Queensland Gold Coast. By using Ozhotels you will be able to book your next resort or apartment in Main Beach directly with they property and save money by ensuring that you get the best possible discount rates for your stay. Situated just north of the main centre of the Gold Coast is the popular holiday destination of Main Beach, which provides a central place to holiday for all types of travellers. For this reason Main Beach has lots of places to stay for couples, families and groups ranging from fully self contained holiday apartments and resorts right through to luxury hotels and budget motels. This wide variety of Main Beach accommodation makes finding the ideal place to stay a difficult and time consuming task, which is why many people prefer to use the free services of an expert like OzHotels. This allows them to compare hundreds of different properties that are situated all over Main Beach and the surrounding region, in order to find the perfect one for their needs and travel budget. The main advantages of booking online with and accommodation expert like OzHotels is that you can book your travel up to 12 months in advance and that you will be able to get an extra discount off the already cheap rates the longer that you stay in Main Beach. 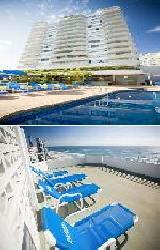 Xanadu Apartments Main Beach are conveniently located in the cosmopolitan area of Main Beach. The luxury Gold Coast accommodation at Xanadu Main Beach is made up of two towers, both of which have spectacular views of the Gold Coast. 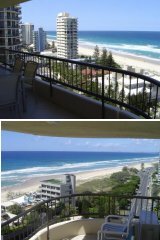 These one and two bedroom Gold Coast apartments feature air conditioning and spacious balconies offering stunning ocean views with Main Beach directly opposite the resort. The luxury Main Beach resort facilities include an outdoor and indoor heated swimming pool each with spa, a sauna, state of the art gymnasium, library & reading room, two full sized tennis courts plus beautiful landscaped grounds with BBQ facilities. For more Main Beach Apartments click here. 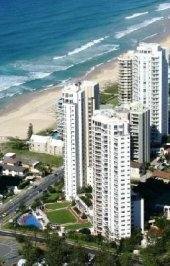 The Deville Apartments is situated on Main Beach Relax and enjoy the spectacular uninterrupted views of the world famous Gold Coast coastline at the Deville Apartments. These luxury Main Beach apartments are situated across from the patrolled Gold Coast beaches and are within easy walking distance of the Marina Mirage Shopping Centre and Sea World Nara Resort. 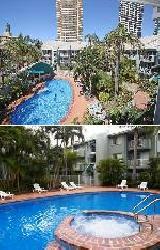 The Deville Apartments on Main Beach place you within easy reach of most of the Gold Coast major tourist attractions including the heart of the Gold Coast district, Surfers Paradise. Whilst you are staying at this luxury Main Beach accommodation you may want to take a nice leisurely cruise and engage in the many water sports available on the Surfers Paradise canals or simply relax and enjoy the Marina Mirage's waterfront bars, cafes and boutiques. 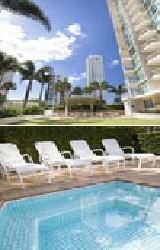 Luxury Gold Coast apartment accommodation that the whole family can enojey. The Equinox Sun Resort offers newly built studio apartments with sea views located in the heart of Surfers Paradise opposite the magnificent Main beach. Guests can enjoy an affordable beachfront holiday on the sunny Gold Coast, with all the sights and sounds of world famous beautiful beaches right at their fingertips. The Equinox Sun Resort in Main Beach also has numerous guests facilities and services including free car parking, guest laundry, gym & fitness equipment, lift, restaurant, spa, outdoor swimming pool, tennis court, tour desk, garden and baby cots available. Further facilities include a games room, 2 BBQ areas with seating and umbrellas, rooftop sundeck, interconnecting apartments, luggage storage and stunning views over the beautiful Gold Coast beaches and/or Hinterland and Canal Estates. The Equinox Sun Resort, Surfers Paradise is perfect for those who like to be close enough to all the action and yet far away from the hustle and bustle. The Maldives Resort in Main Beach is ideally positioned close to everything that the Gold Coast has to offer. It provides 1 bedroom self contained apartments that have amazing views of Main Beach and are only 100 metres from the surf beach. 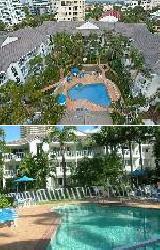 The Maldives Main Beach Accommodation Resort is the ideal Gold Coast choice for your next holiday or romantic getaway. It has numerous guests facilities and services including direct internet access, free car parking, guest laundry, gym, lift, massage service, spa, outdoor swimming pool, tennis court, tour desk, bbq, garden and baby cots for hire. Also just around the corner is a sister building that has an indoor swimming pool, full size tennis court, outdoor swimming pool and gymnasium for use. 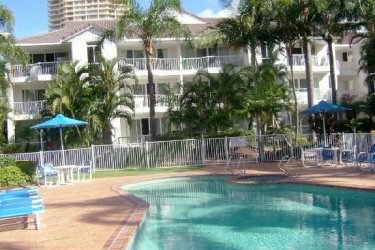 Chidori Court Apartments is the ideal beach holiday resort accommodation on the Gold Coast. Chidori Court supplies you with all you need for a perfect Gold Coast holiday including facilities and services such as free security basement parking, heated outdoor pool, spa and BBQ entertainment area, tour desk, facsimile and e-mail service, babysitting service, DVD hire and friendly, helpful staff. Chidori Court Apartments in Main Beach offers exceptional value, perfectly located, top quality budget Main Beach accommodation. The residential address ensures a peaceful and quiet place to stay on the Gold Coast, whilst the fashionable cafes, restaurants and shops of Tedder Avenue are just a stroll away. The surf beach is just a short distance away and you can stroll along the sand for miles in either direction. Families, couples and individuals can escape the stress of every day life at Aloha Lane Holiday Apartments in Main Beach on the Gold Coast. This very sought after accommodation offers all the features of a luxury holiday apartment and discount rates for longer stays. Centrally located in the heart of Main Beach and only 5 minutes from Seaworld, the Aloha Lane Apartments is within easy walking distance to the Sheraton Mirage shops, Mariners Cove, restaurant and the renown Australia Fair Shopping Centre. From the comfort of the spacious 2 bedroom 2 bathroom apartments to the lush tropical settings around the heated pool, it is so easy to relax and indulge in the peace and tranquillity of Aloha Lane Holiday Resort. Take a swim in the salt water out door heated swimming pool or relax in the spa. You can dine out in the near by restaurants on the trendy Tedder Ave or use the free BBQ with outdoor entertaining area. Aloha Lane Apartments in Main beach provide holiday fun for the whole family. The Main Beach accommodation at the Norfolk Luxury Beachfront Apartments is ideally located right opposite the beautiful, patrolled Main Beach. With 17.5 squares or 155m2 for each apartment these are the largest and most spacious 2 and 3 bedrooms luxury apartments you will find on the Beachfront in Main Beach. 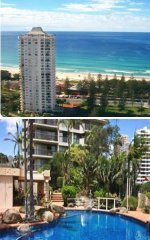 Most of these Main Beacg apartments have an incredible sea view, some all the way to Coolangatta, while most of the apartments have a 310 degree extra mountain and river views from the 2 private balconies. Fully renovated this Main Beach accommodation has been tastefully decorated and are fully self contained, with a separate kitchen, dining and laundry room, A/C, plasma TV complete with Foxtel Digital Movie and Sports package. The guest services at the Norfolk Luxury Beachfront Apartments include fast wireless internet broadband connection at the lobby, heated swimming pool, sauna, heated spa, undercover BBQ area and full size tennis court.